Kudos to the Marching Falcons of the Firestone CLC Marching Band. 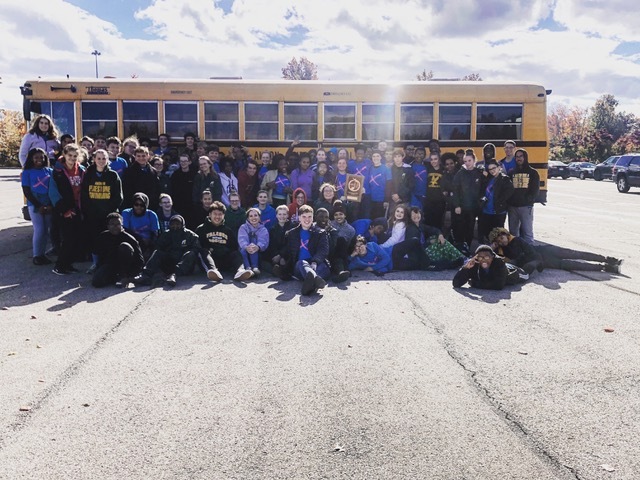 This past Saturday, November 3, the musicians had a tremendous day at the Ohio Music Education Association State Marching Band finals. The Falcon band earned a rating of superior - the highest possible rating - Director Kate Ferguson tells us, "The students felt great about their performance, and they continued to represent Firestone in an outstanding manner!" Kudos, Kate, and thanks for the photo!